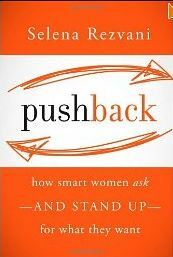 Her book offers guidelines to speak up assertively while developing the resilience and “thick skins” many in sales have mastered. These recommendations echo those suggested in research studies and popular articles, and perhaps more Machiavellian, realistic, and perhaps disconcerting come from one of her endorsers, Stanford University Graduate School of Business Professor Jeffrey Pfeffer. 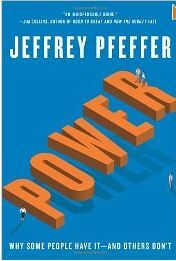 In Rezvani’s book, Pfeffer notes that “Power is about 20% conferred and 80% taken. Good things don’t come to those who wait; they come to those who ask, negotiate, and push. Pfeffer debunks the hopeful idea that the world is fair and just, and counsels those seeking to have the power to “get things done” to promote themselves, avoid giving up or delegating power, but instead, give up the wish to be well-liked. Because the work world is not fair, Pfeffer says that intelligence, performance, and likeability alone are not the most important factors in advancing in an organization. Although power is valuable to enable execution and results, there are downsides and “prices to pay” for having and using power. 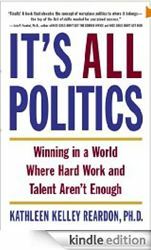 Pfeffer’s Stanford University colleague, Kathleen Kelly Rearson shares specific examples of skillful, modulated application of power in her book, It’s all Politics. This entry was posted in Behavior Change, Business Communication, Career Development, Working Women and tagged Behavior Change, Business Communication, Career Development, Jeffrey Pfeffer, Kathleen Kelly Reardon, negotiation, politics, power, Selena Rezvani, Working Women on September 2, 2012 by kathrynwelds.